Moving invariably enjoys a tarnished reputation. Marred by complexities, delay mounted stress levels and frustration, relocation is nothing less than a nightmare. But with the right skill, temperament, and equipment, this too can be handled proficiently. 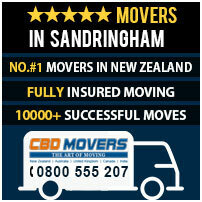 At CBD Movers NZ, we are trusted and certified movers in Sandringham. With a rich industry experience of over a decade, we have developed and groomed to undertake removals that are par excellence. Our highly trained and skillful men are proficient in handling every facet of the move deftly. We undertake a wide range of removalists services. Be it house removals, office relocation or shifting furniture and equipment; we have services and plans to move everything. We specialize in packing and use the best packing supplies and techniques. Our men are trained to dismantle and reassemble furniture pieces deftly and we are therefore touted as the finest furniture removalists in Auckland. From loading and unloading jobs to taking up end-to-end removals, we handle all. At CBD Movers NZ, we take every possible step to provide safe and apt moving solutions. We are equipped with the right removal gear and use well-defined processes to register safe and quick moves. We own a huge fleet of trucks which includes vehicles ranging from 3.0-tonne truckload to 8-tonne truckload. Each vehicle is equipped with the climate control system which confers the best protection against temperature variations. We are certified movers and hold all the licenses and permits mandatory for a legally compliable local and interstate move. 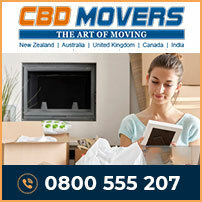 At CBD Movers NZ, we deliver the best services at the lowest rates/hour. We have no depot fee and provide customized removal quotes for the best deal. Our comprehensive transit insurance cover is nominally priced. Our operations are transparent and clear and we have no hidden extras. Sandringham, a suburb in Auckland, New Zealand, is a bustling, multi-ethnic suburb. With beautiful properties that are well equipped and comfortable, the townhouses a population of nearly 11,000 people. At CBD Movers NZ, we offer superior services that are unmatched in both quality and rates. Our customized removal plans and deals make every relocation to and from Sandringham a comfortable and successful one. Get in touch with us to know more about our removalists services and affordable deals.